Wai-nani Audio Book Coming Soon!!!!!!!! I am thrilled to announce that my novel Wai-nani, A Voice from old Hawai’i, will soon be available in audio format. 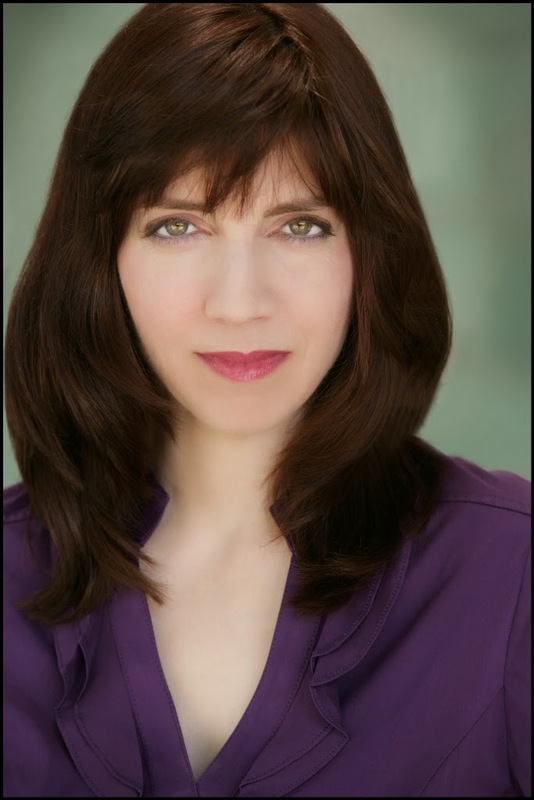 Christine Padovan a popular narrator with a warm, distinctive voice, who makes non-fiction works sound compelling and interesting, with range and versatility in bringing characters to life in the world of fiction has agreed to narrate my book. That this bright and beautiful young woman identifies with the athleticism, as well as the spiritualty of my heroine, makes my heart sing. I’m certain she will do a superlative job on this work in progress. 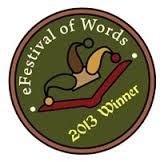 Christine was awarded 'Best Audiobook' for 2013 by Efestivalofwords.com for her narration of Toni Dwiggins' acclaimed thriller, 'Badwater: The Forensic Geology Series'. Christine is an Audible Approved Producer and member of the Audio Publishers Association. A haunting chant set the scene at the Redondo Beach Performing Center for a host of brilliant musicians, singers and dancers brought in from Hawaii and parts of the mainland for your pleasure. Each of the six slack-key guitarists on stage were exceptional in their own right, but together they put on a brilliant, high energy performance. I was honored to be a guest speaker at the meet and greet kick off the night before. At this casual gathering the artist are up close and personal. It was intimidating to be sharing the microphone with greats that ranged from Cyril Pahuinui, son of the legendary Gabby Puhuinui the father of modern slack-key guitar, to Jeff Peterson a young artist with classical training who brings a fresh cool breeze to the traditional slack-key riffs. Still, I stood tall and did a brief reading from Wai-nani-A Voice fromOld Hawai’i and prayed this audience of authentic Hawaiian performers would fine my rendering of the “People of Old” pleasing. From all accounts it was! 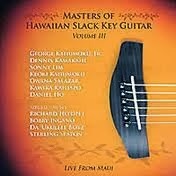 to Hawaiian kitch are there for the taking along with CD’s from all the players. Dancers on the lawn are a warm up for what takes place in the main performance. Jerry Santos sang old Hawaiian favorites while Kamuela Kimokeo accompanied him with some amazing slack-key solos. Kimo West and Jeff Peterson did a soulful duet in the classical style. Kayln Aolani, a bright little bird whose voice is like liquid sunshine brought tears to my eyes. My heart was full to the brimming by the end of this day of warm aloha. If you can only make one Polynesian event this is the one you don’t want to miss! Many thanks to Mitchell Chang, producer, musical & creative director for inviting me to be a part of this wonderful event presented by Kala Koa Entertainment. Wai-nani, High Chiefess of Hawai'i who speaks directly to the reader from the spirit well. 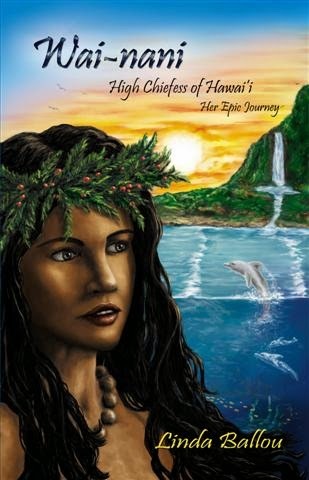 Inspired by the life of the precocious Ka'humanu who rose to become the most powerful woman in old Hawai'i the story spans the most dynamic period of Hawaiian History from 1750-1819. Comic, producer, writer, actor and master of ceremonies Kamaka Brown will perform his orginal Hawaiian pidgin English stories about growing up in Hawai'i accompanied by beautiful Ki ho'alu style instruments. Ono food, good company and a festive atmosphere promises to be a great evening for all who attend. The Aloha Market Place filled with all things Hawaiian is open from 11:00 to 5:30 PM on the 19th is free to enter.